Home beware die doctor fruit health health news home mother useful BEWARE: Eating too much of this fruit in an empty stomach could be deadly! BEWARE: Eating too much of this fruit in an empty stomach could be deadly! Hundreds of children died in India after they woke up from seizure and brain swelling. Turns out that their tragic death was caused by a lychee fruit. Yearly, hundreds of children die in the local government of Muzzafapur, India because of an unidentified reason. During May-June, hospitals were filled with young patients who suffer from seizure and brain swelling after waking up in the middle of the night. Indian researchers then found out that the cause of their tragic death was 'lychee fruit'. 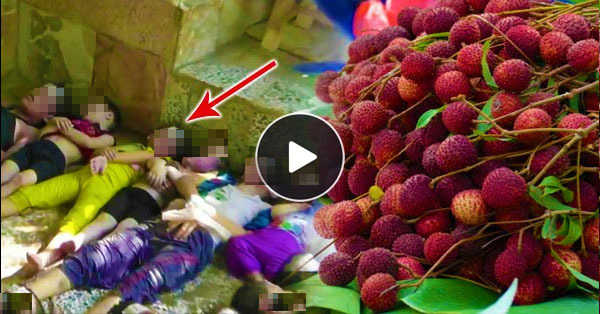 These kids consumed too much lychee on an empty stomach. Lychee produces a certain kind of toxin which is called hypoglycin, making them suffer from hypoglycemia. It is a condition where their blood sugar is relatively low, causing them to lose appetite an experience seizures that was proven to be fatal. Researchers also found out that the lychee fruits caused their death because it coincide with the fruit's yearly harvesting season. The children who died were from the poorest socioeconomic backgrounds. They found out that they couldn't afford meals so they end up picking and eating lychee fruits with their empty stomachs. Indian health officials then took action to secure the everyday meals of these poor children. They also restricted the number of lychees that they can consume.